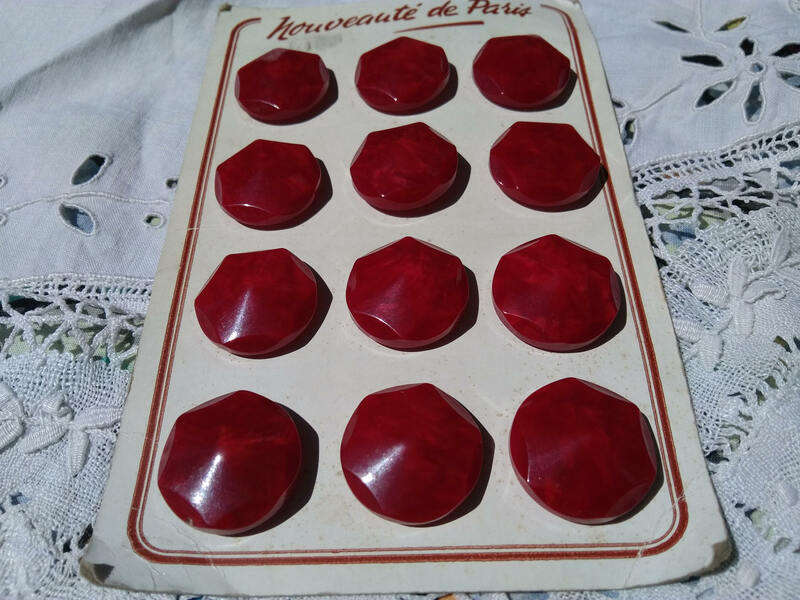 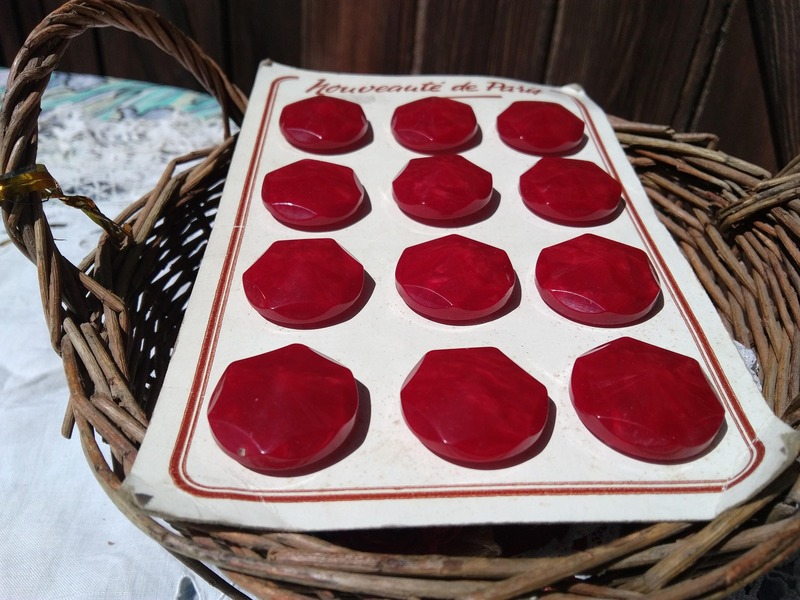 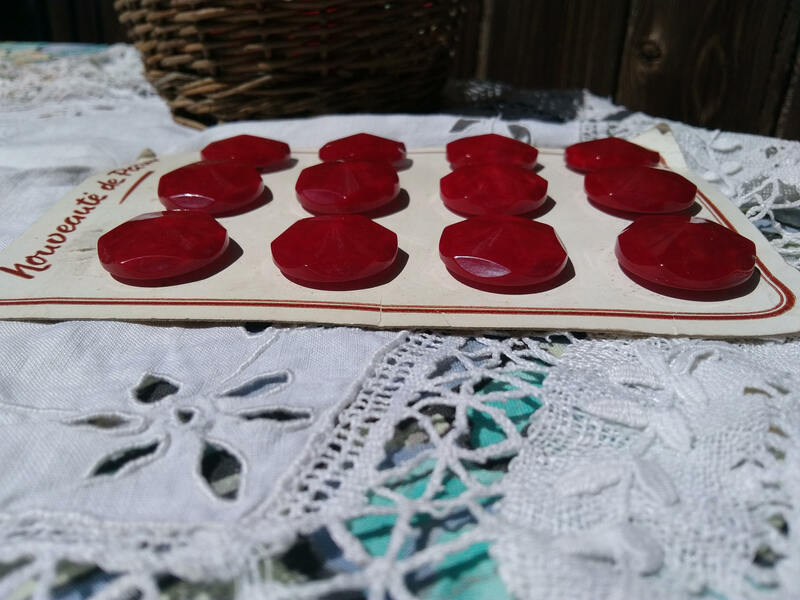 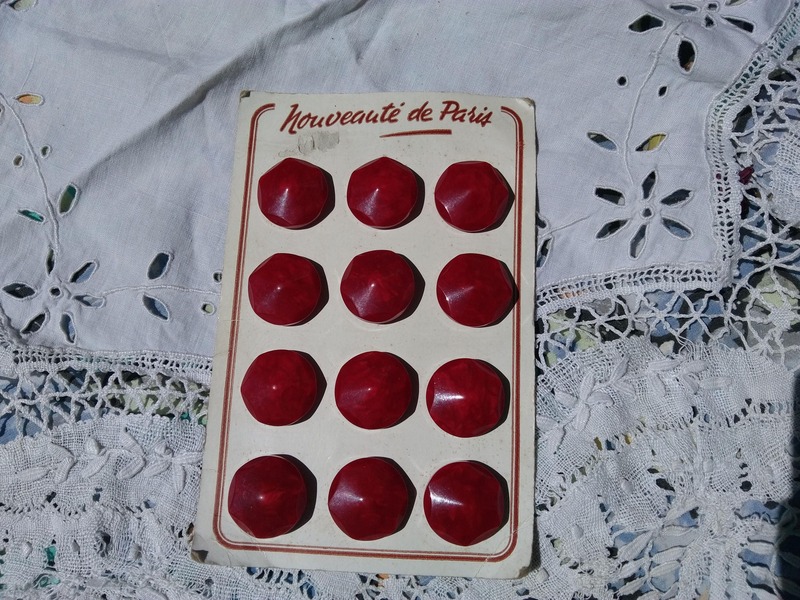 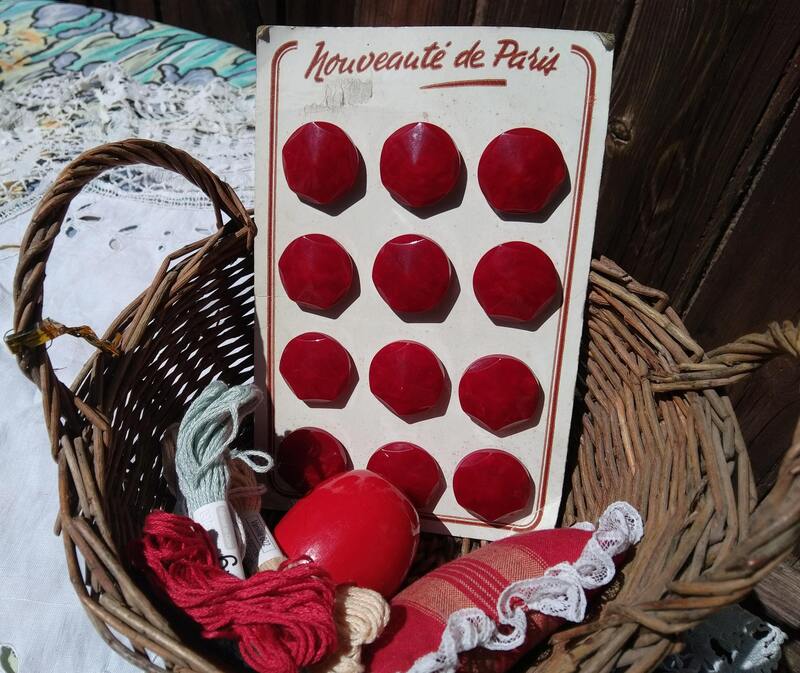 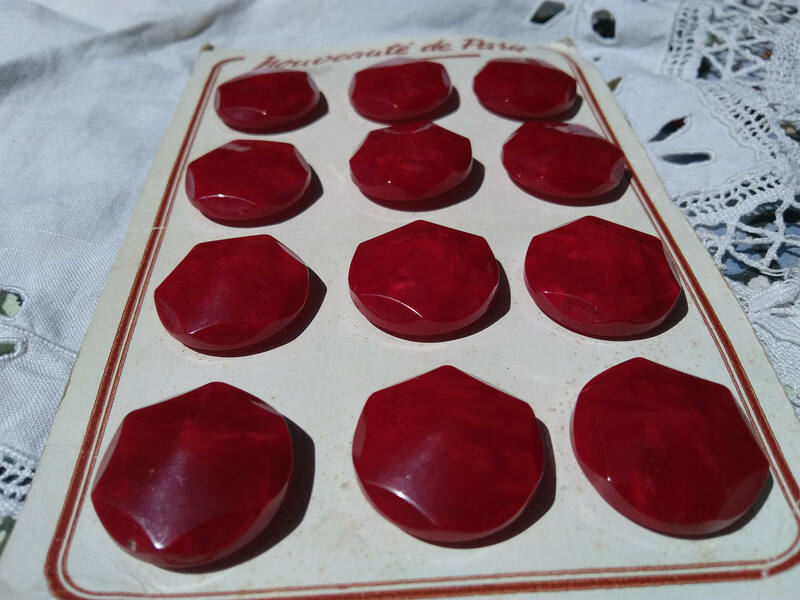 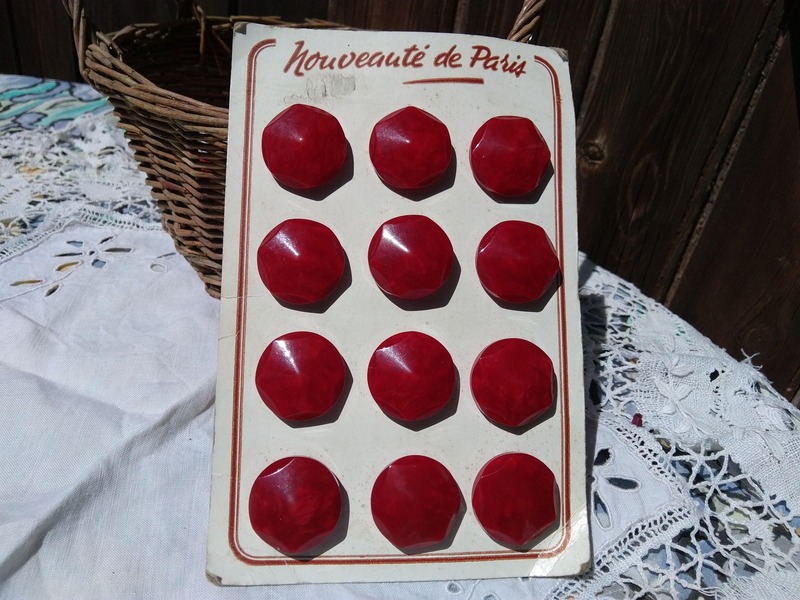 Original Large Red buttons unused - Vintage French Nouveauté de Paris buttons on card. 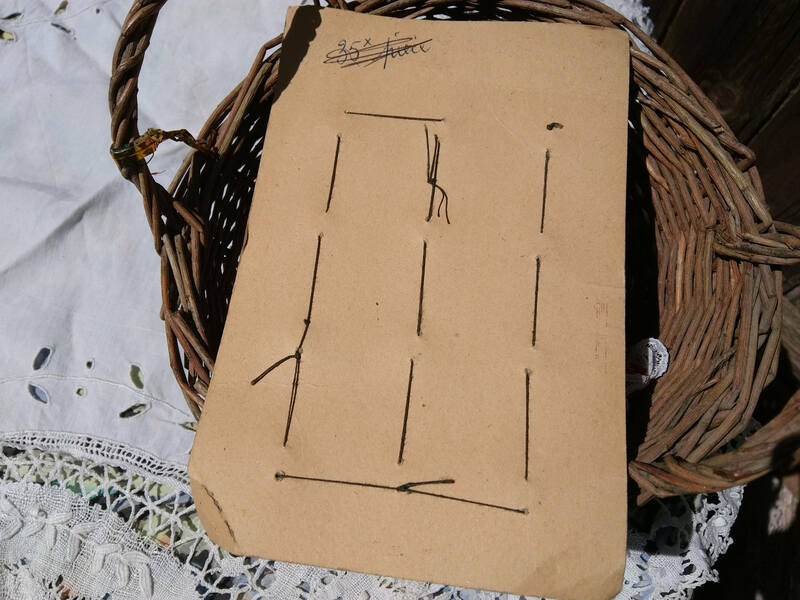 Card size : 4.5 x 7 in. 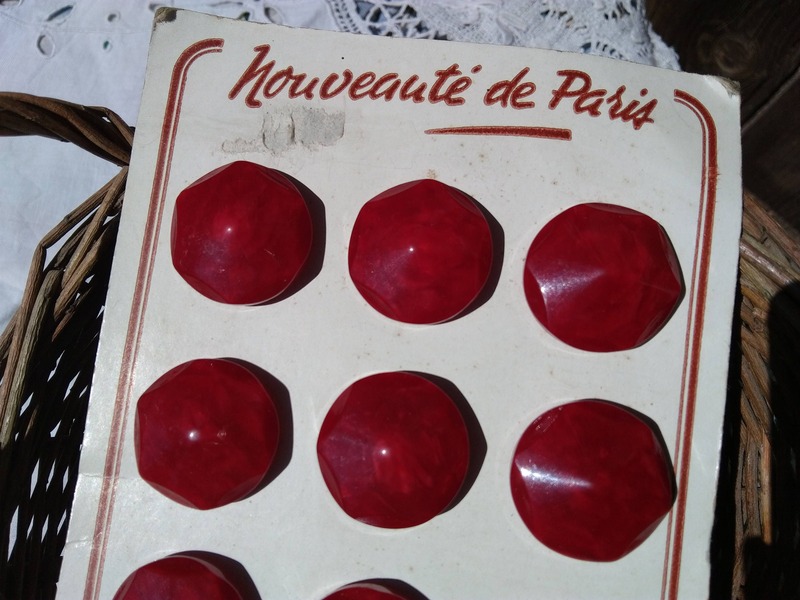 Vintage mid-century hard plastic made and unused. 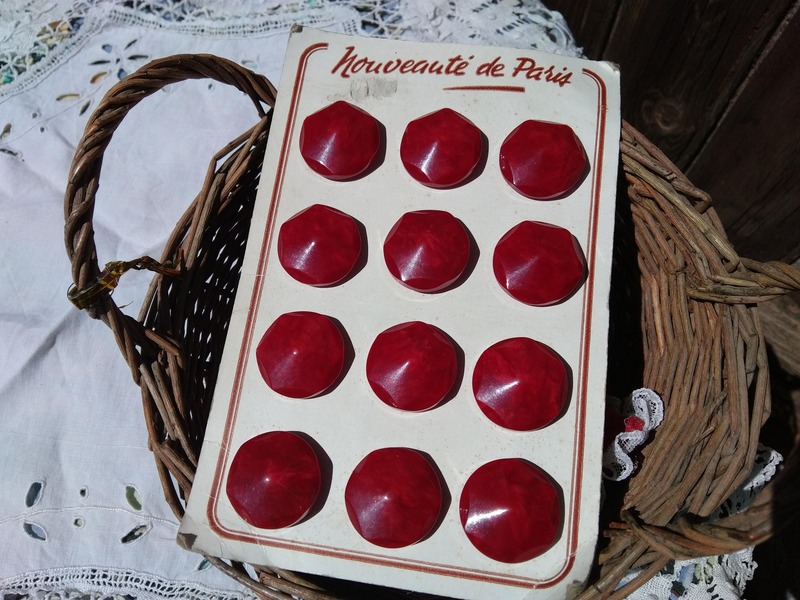 Gorgeous set of 12 buttons to highlight clothing for sewing projects or collectible.